So we went 5 years without any plant fruiting, and along come 2 within a week! 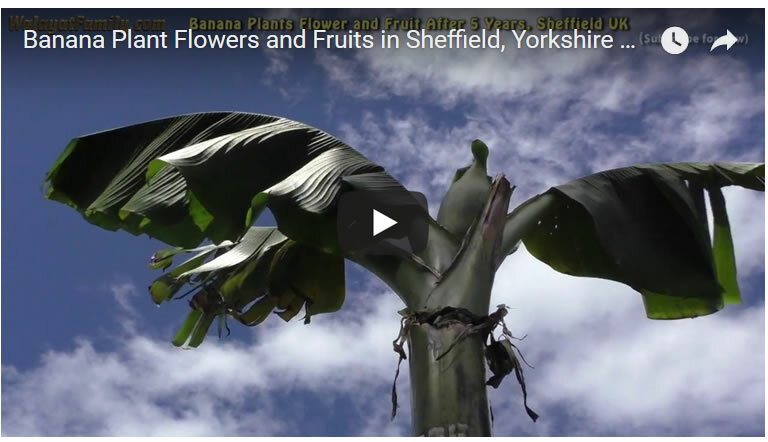 And here's our unfolding banana tree flowering and fruiting story in the North of England as it happened during August. 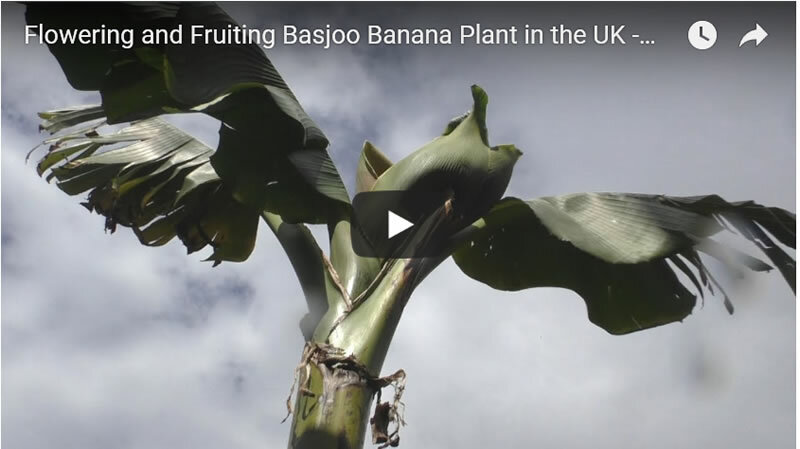 It's two weeks now since we noticed that our Basjoo banana plants were starting to flower and fruit, and boy do they grow fast, were seeing changes unfolding on a DAILY basis, and it looks like were going to get at least 3 flowers / bunches of bananas growing. So here's our fruiting and flowering Basjoo banana plants during week 2. 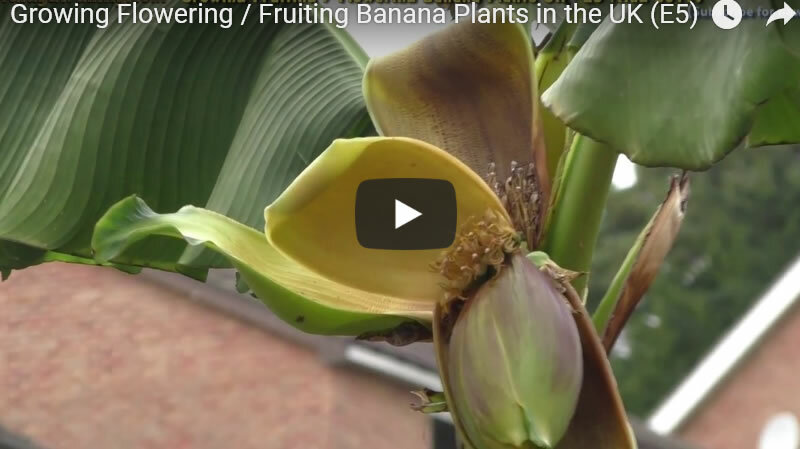 Here is a close early look at our flowering and fruiting banana plant, a good view of how a banana plant flower turns into a bunch of bananas. Yes we can see the first green short sticks that will turn into bananas, as the flower grows and unfurls. 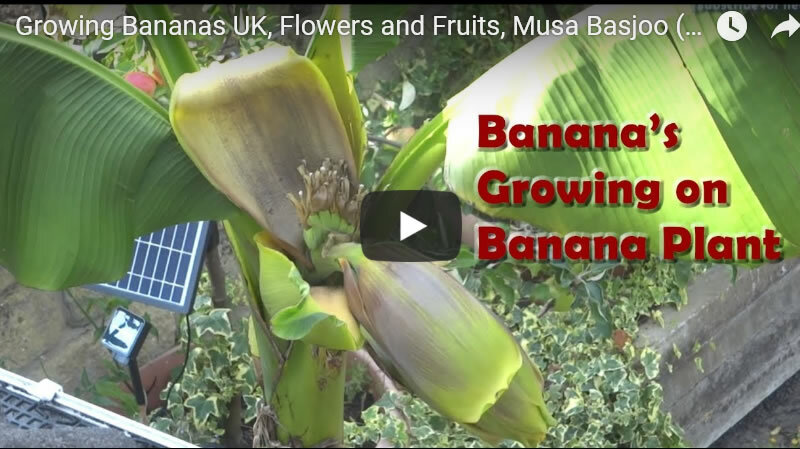 Here is episode 4 of our banana plant flowering and fruiting, here we take a look at the emerging banana fruits, the first ring of bananas with plenty more to come as the flower grows and unfolds. It's the 24th of August and the Banana plant flowers continue to change on a daily basis as the flowers reveal their fruit, fingers of green bananas. We have 2 fruiting and flowering banana plants growing in containers. 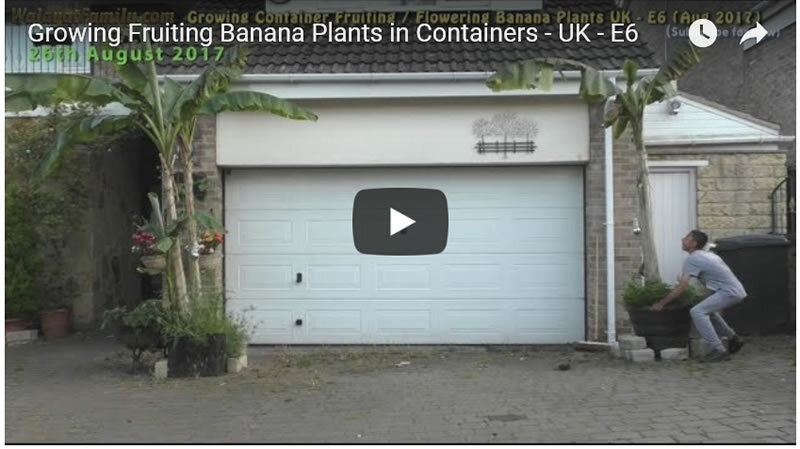 So in this video we reposition them so as the flowers are better visible, which is one of the advantages of growing banana plants in containers rather than in the ground because one can easily rearrange them. So remember that if you are considering planting banana plants in a container or the ground, that the container is definitely the more flexible option, which especially pays of when they start to fruit because you won't know which direction the flower will point in. 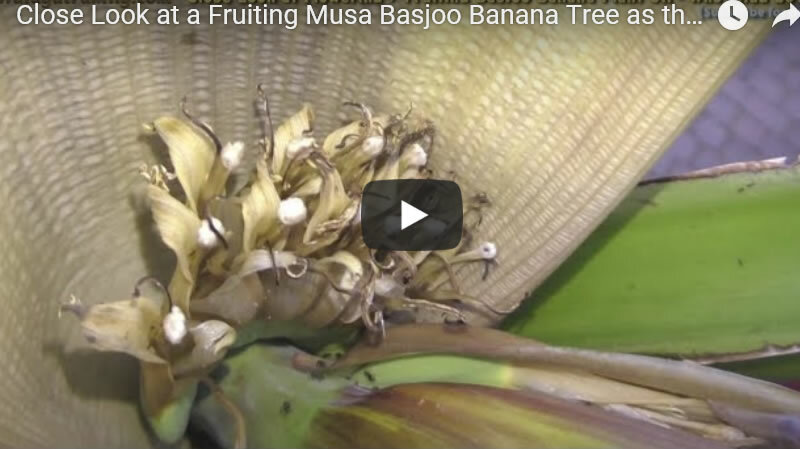 Ensure you subscribe to our youtube channel for more videos in this series to see how our Banana plants flower and fruit and also tips to get your own Bananas to flower and fruit.